Lost: 30 Jun, 1941 (c 32-15'N, 25-30'E) Eastern Mediterranean off Bardia, east Libya by German dive bombers on off Sollum, Egypt on 29 June 1941. Although heavily damaged NO casualties reported. 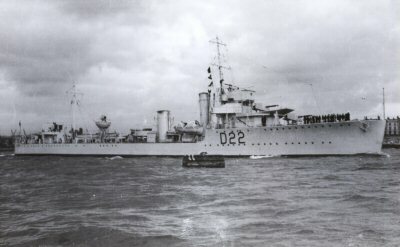 She was taken in tow by HMS Defender but rolled over and sank the next day on the 30th. History: Completed as HMS Waterhen on 17 July 1918. Transferred to Australia and commissioned into the RAN. on 11 October 1933.